You wake up in the night with the sudden urge to use the bathroom. You stumble forward, blindly pawing for the lightswitch. When you hit it, the corners skitter with activity; small, shiny creatures race away from the light, along the floorboards, and back down into the drains. But they’re gone before you can even register what happened. Did you even see anything? Are your eyes playing tricks on you? Whatever they were, they were fast. This could be the first sign that you have silverfish. It’s too bad silverfish (Lepisma saccharina) are so creepy, because these insects are actually quite interesting. In fact, they are among the oldest species of insects—evidence suggests that their relatives been around for over 400 million years, which makes them older than the dinosaurs. Imagine that you and T-Rex could possibly be creeped out by the same things! Silverfish can also can also live between two and six years, which is relatively long in the insect world. Despite their long history on this planet, silverfish never developed wings. However, they possess incredible speed, and they can outrun most of their natural predators, including earwigs, house centipedes and spiders. Being nocturnal, it’s not unusual to find these guys during a late-night trip to the bathroom, scurrying around in the sink, bathtub, or any reliable source of water. Silverfish are small (often measuring between .5 – 1 inch in length), and have flexible, grayish scales covering their bodies that protect them from predators. The scales, paired with the wiggling motion of their bodies when they run, are the reason they’re called silverfish. Their body shape also enables them to snuggle into book bindings (one of their favorite foods). Silverfish also recognizable by the three, threadlike tails sticking out of its abdomen—a shape resembling a pitchfork. Silverfish prefer food that consists of complex sugars (polysaccharides) and starches. Some examples of these include paper, clothing, plaster, sugar, photos and bookbindings (these guys love bookbindings—if there was a contest for “Most Literate Bug” these guys would probably beat out the notorious bookworm). They will also feast on cotton, dead insects and other textiles. When food is scarce, silverfish have been known to munch on leather, but they can live up to a year without food if water is available. 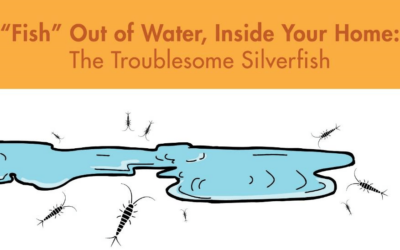 Although silverfish do not cause harm to humans or transmit diseases, the damage they cause to clothes, books and other household items can be quite costly. For this reason, they are considered pests. At Lloyd Pest Control, we’ve seen the damage incurred by silverfish. We’ve seen heirlooms and valuable books destroyed. 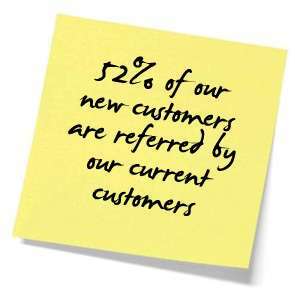 Luckily, our team of highly-skilled technicians has developed methods to treat and eradicate these bugs. We begin treating for silverfish by dusting wall voids and cabinets with insecticide. Because of their unique body shape and ability to hide, we apply treatment in all cracks, bookshelves and crevices where we suspect potential harborages. We also use compressed air to spot treat baseboards, window frames and door jambs. We require that you and your pets be vacated before we begin treatment.